They’re dug to create boating access for waterfront communities, but residential canals present go-to angling opportunities, especially during winter’s harshness. With homes and foliage creating wind blocks, residental canals create arteries which typically remain calm; while protected waters retain more heat than adjacent bays. Consider also that these canals often have dark, muddy bottoms, which absorb the sun’s heat and radiate that warmth through the water. Bottom line, fish find these far more comfortable conditions a welcome retreat from seasonally inhospitable patterns. Residential canals see a variety of species, with redfish, black drum, speckled trout, flounder, jack crevalle, tarpon, ladyfish, sheepshead and mangrove snapper the common southern species. In Florida, add snook to the list and understand that canals rank as one of the most important winter hideouts for these cold-sensitive fish. Adjust With the Weather: Canals definitely host resident fish (snapper, flounder, black drum, sheepshead), but some come and go with seasonal patterns. 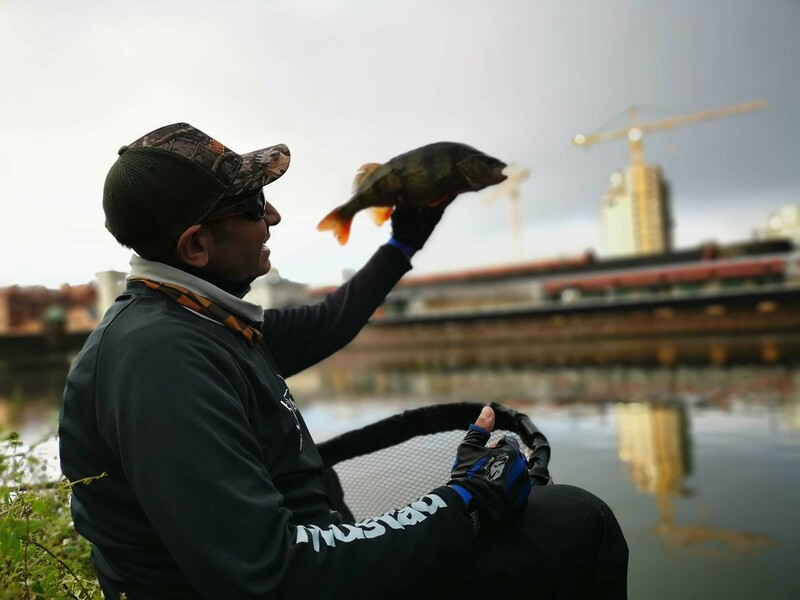 When cold fronts cast an icy grip over the area, expect fish to pile into the canals; but when warming trends bring pleasant feeding weather, look for the flats and bays. Deep and Dark: In the coldest weather, the dead ends of canals where deeper holes offer stable temperatures will be popular spots for shivering fish. And if your canal has a storm drain — even better. Close to Cover: Similar to those muddy bottoms, hard structures in a canal serve as space heaters on winter days. Look to the docks, seawalls and rocks as fish magnets and pay attention to the ones with the greatest sun exposure. In sunny conditions, you may find snook and other temperature-sensitive fish rising in the water column or easing up to a mud flat to warm their backs; but in low-light conditions, they’ll tuck closely to the warm cover. Work With the Water: Winter fish will be less active in the colder water, so their overall activity level will be lower than you’ll find in warmer months. This becomes especially relevant when cold fronts make the fish lethargic. You’ll find your best opportunities during peak tidal flow, as the water brings food to the fish. They don’t have to leave their warm spots and they don’t have to burn many calories to simply sit in the current breaks of docks, points, rocks, etc. and feed on passing forage. Mix it Up: Most any time of year, you can’t go wrong with a live shrimp, but for winter-weary fish huddling in residential canals, it’s a sure thing. Corking shrimp allows you to hold the bait at desired depths and particular positions, while a simple split shot rig sinks the bait for presentations under docks. Another option here — pinch off the shrimp’s tail fins, thread the bait tail-first onto a 1/8- to 3/16-ounce Mustad Shrimp Jig Head and slowly bump it along the bottom. If you’d rather skip the muss and fuss of natural bait, swap those live shrimp for artificial shrimp bodies, shad tails or curly tails and fish them on Mustad Inshore Darter Jig Heads. For a different look, borrow a page from the bass angler’s handbook by rigging a 6-inch finesse worm on a Mustad Elite Stand Up Jig Head and show the fish an enticing vertical profile.